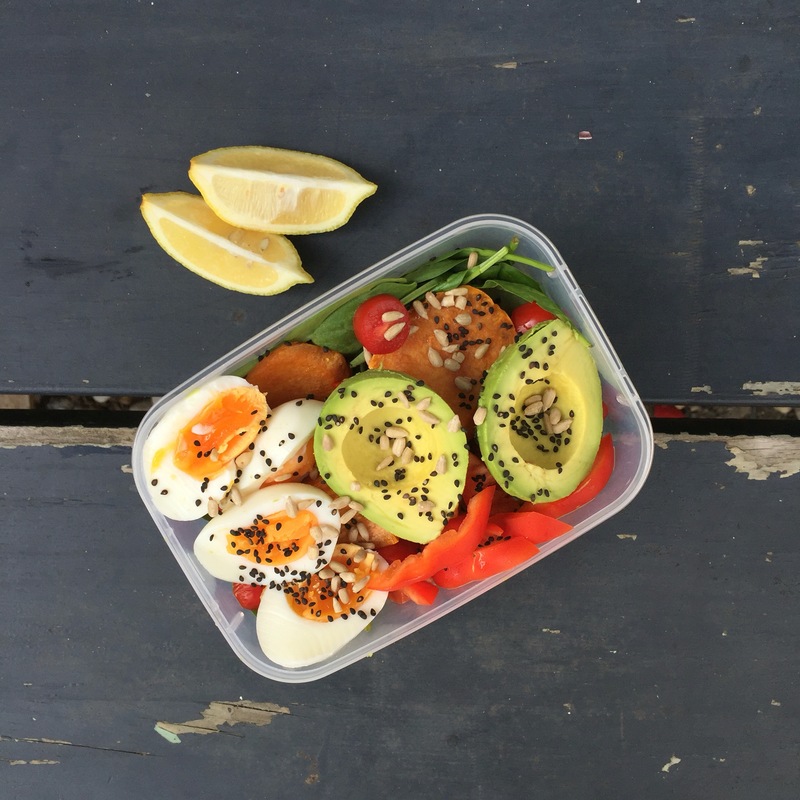 On the days I am organised enough, I love to make lunch to take to work. It tends to be cheaper, you get exactly what you want & it tends to be more nutrient dense. My brother is currently staying with us & my sons are obsessed with him, which means I have more time in the morning while they are attached at the hip to him. 2. When sweet potato has about 15 minutes to go, boil eggs (I put them in the water once it is warm, then boil for 5 minutes). As a side note, some of you may have read my stance on plastic but I am also anti-waste so will continue to utilise these containers until they are no longer usable. Long live minimalism. 6. Squeeze the lemon & drizzle olive oil over, pop on the lid then throw in your bag.